matters.Cloud is a matter management platform for law firms, in-house legal departments, and solo practitioners that helps lawyers and attorneys at law to manage clients, develop contacts and opportunities, capture time, and collaborate with colleagues on important tasks and deadlines. The platform is available in 4 regions (USA, Europe, Australia, and India) and 5 languages (English, Spanish, French, Dutch, and Russian). 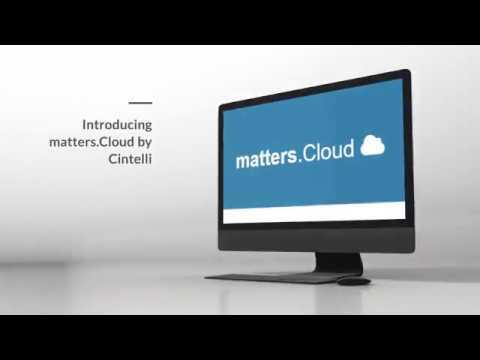 matters.Cloud helps lawyers and attorneys to manage clients with increased visibility, and ease of access to client information. The client overview provides an up-to-date view of client details, active matters, and time for each client. Users are able to capture client type, name and other key information, and input time directly from client views to have details populated automatically. Timekeepers and fee earners are provided with the ability to update existing clients with a click. Users can create new matters via matters.Cloud's intuitive online forms, and enter key information including matter type, name, open/close dates, and more. Free text search allows lawyers and attorneys to quickly find existing matters or clients that match their search criteria. matters.Cloud’s simple timesheet entry feature enables rapid time capture while in the office, or on-the-go using a mobile device. Alternative views allow timekeepers to review, edit and finalize time entries. Simple expense entry forms help capture expenses in a timely manner, and can be launched directly from a client, matter or opportunity, enabling details to be populated automatically. matters.Cloud facilitates the way colleagues collaborate on tasks and reminders by providing complete visibility on all tasks, their due dates and details, helping to ensure that deadlines are met. Integrated news feeds provide professionals with insight into the most recent news media coverage, including article text, comments, and social signals. As an early adopter of the product there was a certain element of risk involved in using the software, however it has been a pleasure working with the matters.Cloud team in seeing the product develop. Our company with ~20 employees had previously recorded and billed time in Excel spreadsheets, not only has matters.Cloud made recording time for users much simpler (as they can record on-the-go through mobile or via a browser), it has made the process of managing projects and opportunities infinitely quicker. Our company would previously dedicate one person to spend a whole day collating and formatting everyone's spreadsheets to create end of month reports, now with matters.Cloud this is a 5 minute job which anyone can do. We initially bought matters.Cloud based off its time recording capabilities but over the past couple of months have seen the opportunity tracking being developed. As a company who has very long sales cycles it has been difficult for us to accurate track the cost of sales over what could be a 6-month sales cycle. With the matter.Cloud opportunity tracking we are now able to see with a couple of clicks the cost of sales for each opportunity / client. The fact that matters.Cloud pulls together elements from a CRM and time recording system and has them in one easy to use cloud based solution makes this product an ideal tool for small to medium sized firms to accurately track their opportunities right through to project manage their live projects. 25% discount for non-profit organizations. Manage existing clients and matters by capturing information using simple online forms, and get an up-to-date view of each client's details, active matters, and time from anywhere. Capture time using timesheets while in the office via intuitive online forms, or on-the-go via any mobile Android or iOS device. matters.Cloud provides a clear view into tasks due, future tasks and a history of completed tasks, and facilitates the collaboration between colleagues to help ensure deadlines are met. Develop new contacts and track new business opportunities by capturing key contact information via quick, intuitive online forms. matters.Cloud is available in 4 regions (USA, Europe, Australia, and India) and 5 languages (English, Spanish, French, Dutch, and Russian). Below are some frequently asked questions for matters.Cloud. Q. What type of pricing plans does matters.Cloud offer? Q. Who are the typical users of matters.Cloud? Q. What languages does matters.Cloud support? Q. Does matters.Cloud support mobile devices? Q. Does matters.Cloud offer an API? No, matters.Cloud does not have an API available. Q. What other apps does matters.Cloud integrate with? Q. What level of support does matters.Cloud offer?